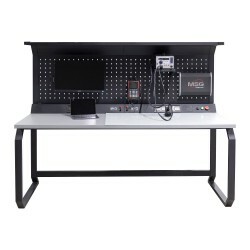 MS570 – Table for electrical repair specialist for quality workplace.Adapted to work with diagnostic equipment for repair of EPS - MS561 controller. It has two built-in laboratory power supplies, a place for an oscilloscope and a soldering station. 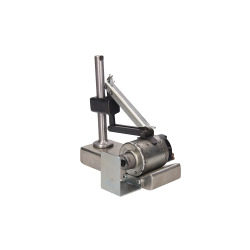 Equipped with LED lamp with a total output 60 watts.